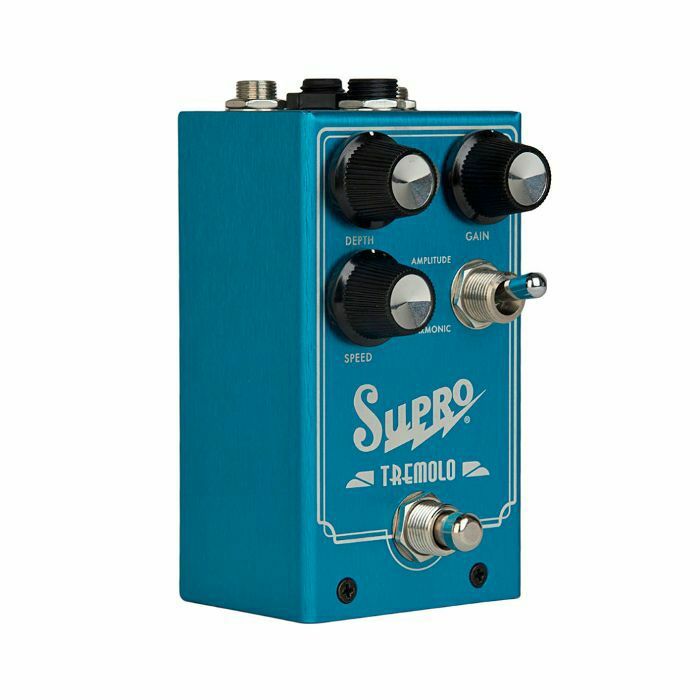 The Supro Tremolo is an analog stompbox designed to recreate two of the most desirable vacuum tube based modulation effects found in American amplifiers of the 1960's. 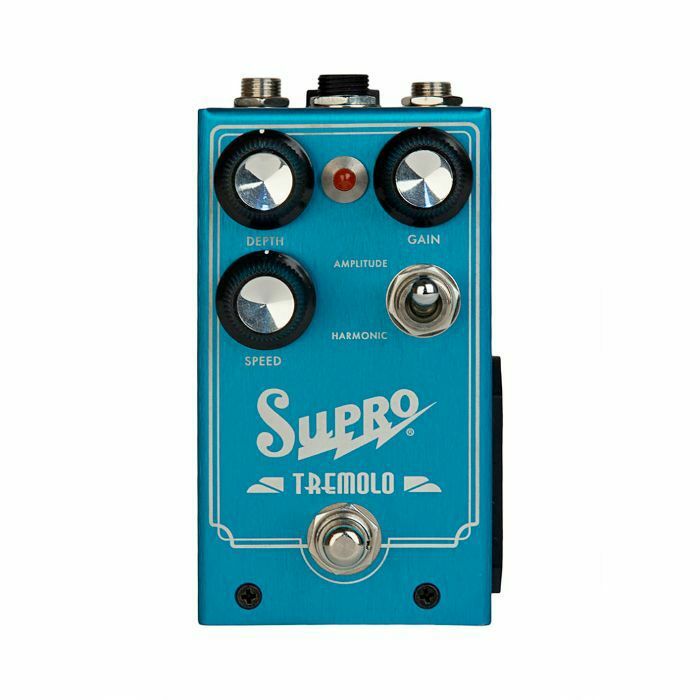 The Supro Tremolo pedal's AMPLITUDE / HARMONIC switch allows the musician to choose between these distinctly different, vintage effects. AMPLITUDE mode provides the traditional swampy, tremolo sounds generated by bias modulating the power tubes in the original Supro amps. HARMONIC mode provides the psychedelic tones of Leo Fender's brownface and blonde amps from the early 60's. We've implemented Leo's unique "harmonic tremolo" effect within the output stage of the pedal to create an "amp-like" modulation experience. The Supro Tremolo pedal features pre-amp and power amp sections, with an actual output transformer deployed to recreate the magnetic saturation and coloration of the original vacuum tube based effects found in these historic amps. Along with the standard modulation controls for speed and depth, the Supro Tremolo also features a gain circuit that allows the musician to overdrive the output stage, right where the modulation effects are created. The GAIN control sets the amount of "preamp" gain in the pedal. As you turn the gain up, the "power amp" circuit will gradually be pushed into overdrive. 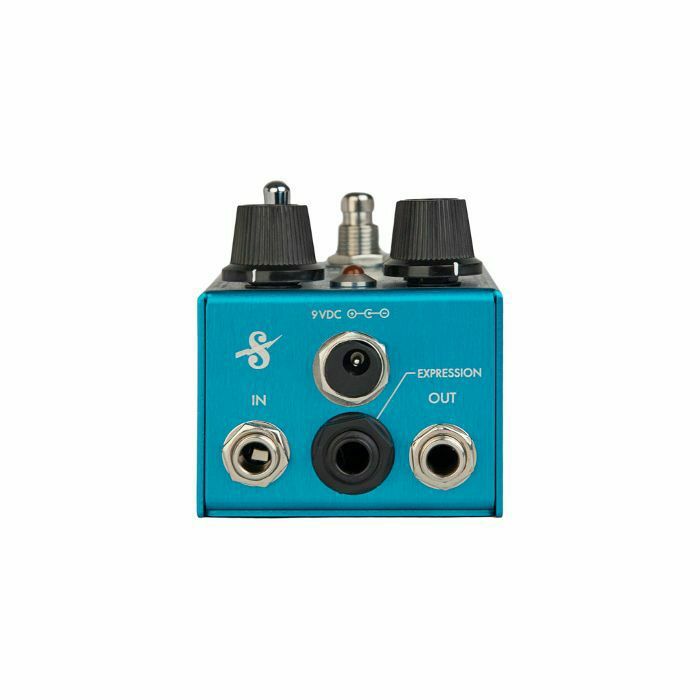 This control gives you a wide range of sounds from clean to grind, with magnetic saturation occurring as the power section is pushed into overdrive. As you crank up the gain, the overall output level of the Supro Tremolo is automatically compensated in order to maintain consistent signal level. 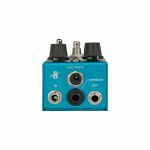 This allows the musician to use the GAIN control to alter the texture of the modulation effects without an overwhelming increase in audio output level. SPEED and DEPTH controls determine the rate and amount of modulation present in the effect. 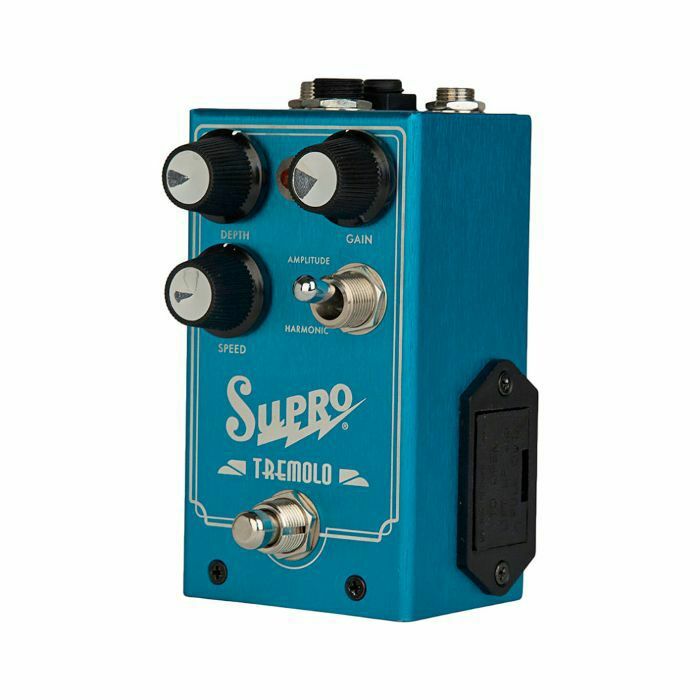 An industry-standard TRS expression pedal can be used to control the speed of the Supro tremolo. When an expression pedal is in use, the on-board SPEED knob is used to set the maximum value. The rate of modulation is indicated by the pulsing LED status indicator. All Supro pedals are assembled in Port Jefferson, NY, USA, featuring custom-tooled, anodized, brushed-aluminium enclosures, 9V battery or AC powered operation, rear-mounted metal jacks, easy-access side-mounted battery drawer and studio-friendly, noiseless (click-free) true-bypass switching.